In order to keep the water in your swimming pool clean, fresh and safe for recreation, you need a professional that can effectively handle swimming pool water treatment maintenance, service and repair. We are the swimming pool experts that you can always trust to carryout effective treatment maintenance of the water in your pool. In fact, we have the skills and experience for the best service and repair of both residential and commercial swimming pools. Besides, we also handle maintenance for other kinds of water features and fountains. Swimming pool water requires regular checks and maintenance to ensure that it does not pose risks to the users. Conducting all the required procedures can be quite tedious and also frustrating on your own, hence, you should always leave all the tasks to us. Our technicians are well trained and equipped with the right tools and products to deliver outstanding water treatment maintenance, service and repair for all kinds of swimming pools. 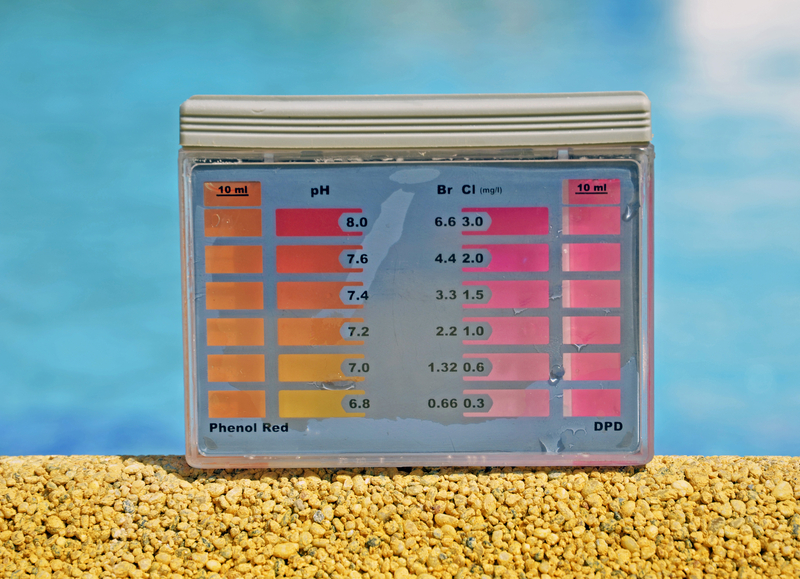 There is always a recommended level for total alkalinity in swimming pool water. Total alkalinity refers to the ability of water to resist changes in PH levels. For instance, if the total alkalinity is too high, the PH levels may also elevate, causing cloudy water and scaling. On the other hand, swimming pools with too low total alkalinity usually have very sensitive PH levels that may impact sudden unpleasant changes. In order to keep the alkalinity levels at the required limits, we use various kinds of recommended products like PH decreasers, muriatic acid among others. Regardless of the source, hard water contains excess deposits of calcium and magnesium, in varying levels. The deposits remain embedded in the pool during the process of evaporation, and this can significantly heighten the hardness of pool water. However, you should not be worried because we can always treat the water effectively to avoid scaling, so it is safe for use all through. Chlorine is an important product for killing bacteria, algae and other viruses that may pose potential risks in swimming pools. In fact, it also fights grease and other harmful substances in pool water. Although many pools usually have freely available chlorine, we can always conduct proper monitoring to ensure that only the right amount is released into the water to make it clean and free from any form of contamination. From the manual of your swimming pool, you will be able to find information about the recommended PH, chlorine and alkalinity levels. However, keeping up with those levels might not be very easy for one who does not understand swimming pool water treatment maintenance. Leaving the job to us is the best way of ensuring that the desirable levels are kept without compromise. We also offer a wide range of the best products and chemicals used in swimming pool water treatment and services. Despite the benefits of these products in the pool, they can be very dangerous to humans and animals if not handled with proper care. They can cause skin rashes, itching of the eyes and even death if consumed. Besides, the chemicals also require that certain procedures are followed before and when using them for the best results. In order to avoid the risks and losses that might come with such incidences, simply leave the task of pool water treatment, maintenance, service and repair to us. When doing pool water treatment maintenance, we also carefully check for any possible defects that might negatively impact the safety of the water. In fact, there are several factors that may interfere with the quality of swimming pool water, which many may not be aware of like, heavy rains and windstorms, higher number of swimmers, foul odors, extreme temperatures, algae growth among others. In the event that your pool is exposed to any of the above factors, there are higher chances the water will not be safe for use. We have the right products and professionals that can effectively take care of the general maintenance and servicing of your pool to eliminate all these threats. Our swimming pool water treatment maintenance, service and repair package offers the ultimate solutions to all problems affecting the safety of the water. Due to our professionalism, we can also help you avoid possible hitches that may occur in future so you are able to enjoy using the swimming pool for an extended period of time. Besides, our technicians will also offer you basic tips for troubleshooting to avoid inconvenience. By choosing us for swimming pool water treatment maintenance, service and repair, you are always guaranteed the best results. We understand that there are various types and brands of swimming pools, and have designed the right procedures of ensuring that your pool is safe and efficient at all times. As soon as you contact us for treatment, maintenance and servicing of swimming pool water, we will respond immediately. The first step will be visiting the pool and conducting an inspection on its condition so as to devise the best water treatment and maintenance remedies. Based on its state, we shall recommend and undertake the right measures to ensure a clean and safe water for your pool.